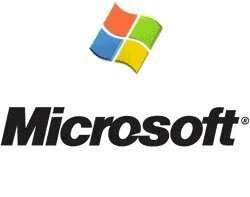 Microsoft is investing £45m in IT training and apprenticeships to help 500,000 unemployed people in the UK back to work by 2012. The computer giant is providing money for basic IT training, donating to charities that work with the long-term unemployed and organising IT apprenticeships with small IT companies. It hopes to start 3,000 apprenticeships with some of its 32,000 partner companies across the country. The candidates will work at the company and attend government-funded IT training courses. Microsoft is working with Job Centre Plus to find suitable candidates for the apprenticeships. Stephen Uden, head of skills and economic affairs, said, "Small companies can get very frustrated, because they'll hear announcements from the government about money for training, but they can't find how to get access to the funding. We're helping them tap into the government funding available." Microsoft will not be providing apprenticeship places itself, because Uden says the company requires more highly skilled employees. But he said he hoped other IT companies would start helping unemployed people. "The sector hasn't gone out and targeted unemployed people as much as it might do. It would be great if, as an industry, we could help people get back to work." The investment will last for three years, following a three-year pilot in the west Midlands. Stephen Uden said, "We have done a great job of selling to the billion richest people on the planet. We are now trying to make sure that the benefits of computing apply to everybody. We are focusing on the 10 million people in the UK who don't have IT skills, and helping them get the benefits of using technology that the rest of us take for granted." Business secretary Peter Mandelson welcomed the initiative, saying, "Digital skills are crucial for the knowledge economy and this campaign will go a long way to helping people benefit from the new opportunities that technology brings." More information can be found at www.microsoft.com/uk/britainworks/.